So a while ago, I saw BritMums Live being announced and I thought “maybe in a few years if I’m still doing this blogging lark“. Then, I noticed my blogging friends announcing they were going and I started to feel left out. I wondered if maybe it would be useful to someone like me. Maybe, with nearly 1 year of blogging under my belt, I should go. As the time grew closer and closer, I knew in my heart that?I’d like to go. Then it spiralled to I realising I’d feel gutted seeing knowing all my blogging friends were meeting, many for the first time. I knew I’d feel left out seeing all the social media posts if I didn’t go. I really knew (from quite early this year) that I’d be gutted to not be meeting the fantastic bloggers I tweet, comment and message every single week. So after discussing it with hubby, I took the plunge, and I now have tickets to #BML16! Yes, I’m SUPER EXCITED. Not only am I going to my first blogging ‘thing’, I’m going on a wee day trip to London, and, I’m going on my first day away from Toddler H. Yes, it will be the longest time I’ve been away from her – please ladies, keep me occupied! I cannot wait to learn more, meet people, have those ooooooh moments, where you just cannot wait to try something new, and just take in all the?tips and ideas. I’m looking froward to feeling inspired. To feel like I am doing something and going somewhere. To feel like I can do this blogging lark. As many of you know, I gave up work to be a SAHM and something I’ve struggled with is getting my head around not earning my own money. I’d like to change that. I’d really like to earn something from my blog, even just coffee money! I’m hoping BritMums Live will provide the?magic answer. Brown hair, average height, size 8-10…. oh how that helps you recognise me! I’ll be the one looking incredibly lost on my first day out in London since Toddler H was born 18 months ago. Note. London is also just over 2 hours on the train, so I might look a bit tired too, hence I might be be constantly seen with a coffee or tea in hand. Oh and I may be completely inappropriately dressed… if the weather forecast is wrong I’ll either be roasting in a jumper and jacket and thick jeans, or freezing wandering around in a sun dress. Yes! Eeeeeeeek! It’s taken me a long time to pluck up the courage to book, but the closer it got the more I knew I’d regret it if I didn’t. I want to meet all my blogging friends and learn a few new things too…. come on conference, take me to the next level… show me what I’m missing!! I’m sorry if I’ve missed you, but, yes I do want to meet you so please say hi…! Anyway, I’ll have to be brave and say hello to you, otherwise I’ll just be the lemon sat in the corner, with pile of paper cups littering the floor and a brolly, jumper and jacket dumped on the seat beside me. If you spot anyone like this, it’s probably me, and if so?PLEASE rescue me from being shy, missing my baby and a coffee slump!? Oh, and if anyone’s travelling from Gloucestershire way please comment here, maybe we’ll be on the same train?? I know! I could go to them all! ? see you there!! WHOOP WHOOP! I’m so glad you trusted your inner blogger and went for it! 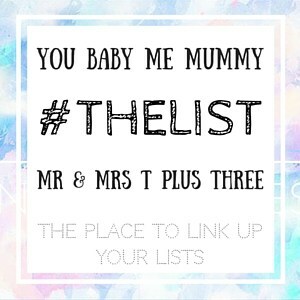 Honoured to be on your list – I was going to message you to ask if you were in! MMT recently posted…#coolmumclub Linky: Still on a break! I didn’t spot you, but it was such a blur of a day, hopefully say hi next time! Lucy at occupation: (m)other recently posted…What Does Blogging Success Look Like To You? Exciting! You will have a brilliant time – there will be lots of bloggers going for the first time and I’m sure they are all in the same boat. I would be too – had I not arranged to be away that weekend. I really hope you enjoy it. Thanks for linking up with #KCACOLS and hope you can come back again on Sunday. Nicky Kentisbeer recently posted…It’s Up To You in New York! Good luck and have a great day out, enjoy every second! I think that it’s great that you made the step to go and you’ll get to meet up with all the people you chat away with online normally. Thank you! It was a fab day! What made mummy happy? #2 - New Mummy Blog on Toddler puzzles: Orchard Toys Once Upon A Time puzzle?